Iindicted for the Dec 1, 1923 murder of Maurice Keane of the South Side O'Donnells, though the case was later nolle prossed. In March 1926, he was arrested with Sammon and William Dickman. Was arrested again on suspicion of robbery in March of 1927. 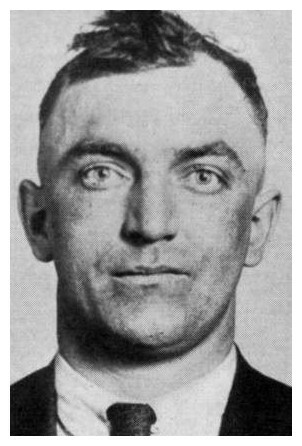 Oct.9th,1930 Willie Niemoth is sentenced to 10 years in Baltimore for his participation in a $47,000 holdup there in 1926. For three years Niemoth fought extradition from Chicago. A new trial was rejected by the state supreme court. His time is done at the Maryland penitentiary. Sammons was also wanted in Maryland for this same robbery. Niemoth was released Nov.30,1938 for good behaviour. July 22,1943, Niemoth and Phillip Funchion, ex- chauffeur of Danny Stanton, are picked up and given lie detector tests and later released in connection with Stanton's murder. January 24,1945, Thomas Leahy and Llewellyn Morgan were arrested in connection with a $150,000 (found later to amount to 2 million)vault robbery at the E.H. Rumbold Real estate company (624 West 119th). Both pointed the finger on Niemoth who was arrested at the Chrysler plant where he was employed. July 27,1945, Niemoth is acquitted by jury. He was set up by his ex buddies for refusing to participate in the robbery. He also provided an alibi. Incidentally there was question as to the reliablity of one jurors whose name was William Peller, 44 and a mechanical engineer. He was related (brother) to hoodlum Sam Pellar killed at Fox lake and ex bodyguard for Weiss.William related to the states attorney that his brother was an outcast of the family and that it did not influence his vote. On Feb 21,1961 Niemoth is paroled after his sentenced is cut down by Governor Stratton in 1958. Willie Niemoth died in Chicago in January of 1970 at the age of 75.